How do I move widgets on the Dashboard that are out of the viewing area? I have a couple of widgets in Dashboard that moved outside of the viewing area. I can only see them in Mission Control. How do I move them back? Just try to remove them (Manage widgets...) and than add again to dashboard. Not the answer you're looking for? Browse other questions tagged dashboard-widget dashboard . 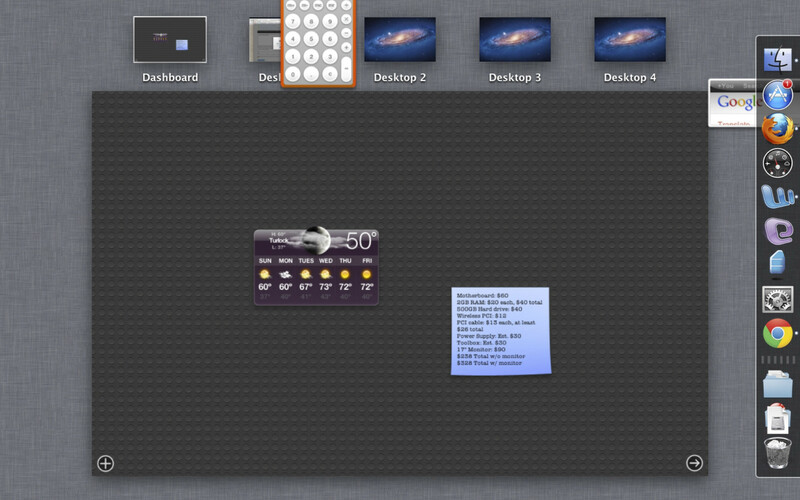 Which are the OS X Dashboard Widgets you can't live without? How to move around with the mouse in a Web Clip Widget? Are there any way I can have a Dashboard Widget visible all the time on the desktop? Any way to make weather widget stick to its place? iCal events on the desktop; Dashboard widgets vs. GeekTool vs.? align widgets in the dashboard? How to resize the widgets in the dashboard?